#1918038 The Origins of Forcegrowth, Darkgrowth and SurgeSpawn. An unassuming world with nothing of note here. Neutral void space, no call of the Swarm to hear, only distant instruction by the hive. Why they were drawn here they did not yet know. Only that they stalked these landscapes with several other hunters, some under the earth, some above it. Early breeds of hunter-killers the hive was developing, harvesters hunting for signs of wildgrowth or rogue DNA. Akestos's eyes searched outward for signs of movement, of growth, of things to threaten future hives in these regions. Dead metal settlements were not of interest to the greater mind unless they disrupted the seeders. Before him Kylraya hunted and he watched, waiting. Wildgrowth was here, but no hives were here. The Hive did not understand. The disconnect from this place was greater than it should be. Wildgrowth came from Hives, it didn’t just appear. No Hives meant silence, nothing, unrelenting void of consciousness. Here that void was somehow present, greater than it should be. Void that should be contained within the silence was moving. The whipping vines ahead of the Swarm Mother were lunged upon, the black beast they belonged to a threat to be consumed for answers. He watched her tail secure one vine, her talon cleaved another, a third vine constricted around her waist pulling her into its maw. Her eyes closed going limp, playing dead, and its mouth opened ready to feast. SNAP. Both her talons struck the face and maw at once. Watching as the black vinebeast died before her. Wildgrowth. She clutched her waist, the exoskeleton surrounding them both capable of withstanding greater pressure. Constriction was still unpleasant. Akestos came by her side, looking over the valley and understanding the call to move. So used to Surge Impulse it was disconcerting to be directed by the Hive alone, but his towering form lumbered forward into the wake, hunting and seeking the prey before them. Wildgrowth was not easy to understand, or easy to comprehend for the greater mind. His ability to separate himself from the effects of whatever was here was difficult. His towering orange body lumbered into the valley below, leaving her on the hilltop looking down. Her eyes his direction going forward, having less and less link to the focused mind the further he went. The valley before them both was lush with life, hunters moving through it, hearing the call and not understanding why. Classification: Ion Storm, mineral cloud. Average Life: Ion Storms last for weeks or months depending on the conditions or where they are. A Stormsurge is no different. 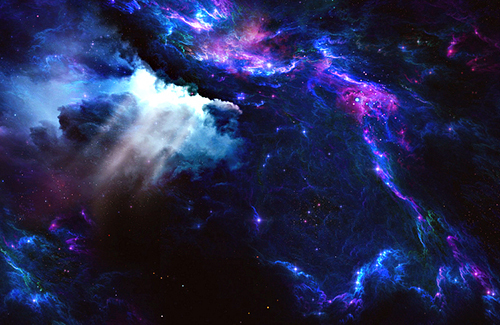 In the vast blackness of space with nothing to hinder it, a storm can go on for years. Nutritional Value/Allergies/Side Effects/ Purpose: To damage electronics, to weaken enemy craft, structures or droids. To protect Hive Worlds, very large Hives, and Surge Fleets. To obscure surge movements behind the cloud. +Can vary in Strength. From StormSurge 1 - 10. This allows the Hive to create a Stormfront to suit its purpose. 10 being lightning all around, 1 being a mineral dust cloud. +Damages Ships, Droids and metal structures. Fast moving plasma flashes of ionized gases, causing magnetic discharges. These storms have a tendency to strike electronics, ships, and shields. Though they can hit organics, it's much more likely their magnetic discharge will be attracted to metal or to energy sources. +Ion Storm's are dangerous area of effect creations. More important than that, these ones obscure what's really going on. You can certainly try to get erratic scans through an ion storm, but by its nature, it's going to mess with many devices that try. These clouds are made from the very minerals of the Hive's own dead bodies, meaning they often appear to be a different shade of the same color, which doesn't help matters visually. -Once released, a storm is a storm. You can't easily then control what it is going to do. You can just send it in the direction you hope it will go. -Vulnerable to force users or creatures who can control weather patterns or storms. The hive itself doesn't control wind direction or air pressure with these for example. Though one day it may develop more refined weather biotech. -Some devices can capture magnetic energy or plasma discharges, giving them at least temporary protection. -The strikes from a storm are unpredictable, a small ship flying or individual moving might pass by harmlessly. A big ship or army however is more likely to be hit. -It is impossible to hide from force sense or an equivalent force power with this, though certainly flashes of lightning might be distracting and the hive mineral cloud dust visually unsettling. -Harder to produce on colder planets or environments. -While biological creatures don't attract magnetic discharges near as much, they still don't react well to lightning unless it is migitated somehow. +/- The Hive communicates just fine telepathically in an Ion Storm, though sonic signals are hindered somewhat. Whereas terrestrially a storm surge is usually associated with water, here it is most certainly not. As with worlds such as Moorja, the Hive has found Ion storms on planets benefit it more than hurt it. At least where countering dead metal such as droids or ships are concerned. 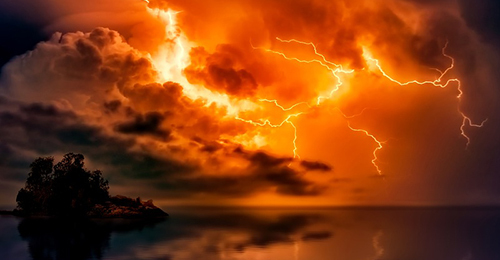 On an average day, there is no need for an ion storm, on a few days there are. These only come from long established and large hives, specific creatures, hive structures, and ships can produce them however to lesser degrees. Usually orange or red in appearance from the D13 mineral and Centax Purifier gas. These clouds are often colored the same as the creatures that are within it, mostly because it is formed from the same minerals of their own bodies. Though the shade is certainly not an exact match, and not all hive creatures follow the same color scheme. Surge Domains or groups of biospheres, do tend to follow a familiar pattern with their colors or textures. If the Hive is large enough. When the Biosphere has entered a swarm stage you might see an aptly named Living Mountain producing these. Huge superheated volcanos producing the pressure and heat necessary for ionized gases to form and a plasma storm's eruption to be produced. In ship form, it may be a huge hive ship doing the same ahead of the main fleet, for creatures it would be many working together on mass. The varying degrees of storm generally require larger sources on the higher end, a hive volcano might be able to produce a higher magnitude of storm, whereas a group of many creatures might just produce a lower magnitude orange dustbowl. For a ship, it would depend on its size as to what was possible, and how much room was allocated to doing this. Intent: Wildgrowth Hunter around hives, sometimes driven by the surge to hunt further afield, a warning a surge is coming. Description: Wildgrowth Lurkers are a result of mixing Nautolan DNA with the Kae Vine. Dense cartilage for the Nautolans made them tough and resistant. 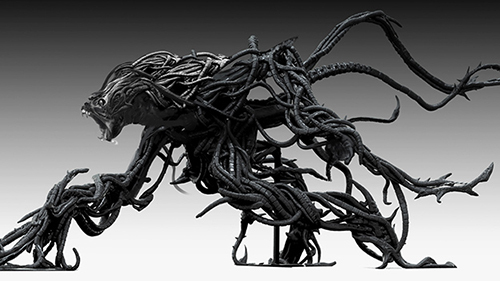 While Kae Vines running along its body, act as flailing weapons as well as defensive armor. Usually dark green in appearance, as with all hive creatures orange and red are common, yellow and black less so. They often walk on all fours, stalking across jungles or up trees pulling their prey into their waiting jaw, throwing them about until they are unconscious, or crushing them with their many vines. Skin color: Dark Green, Orange, Red, Black or Yellow. Positioning. Hides as if it were a Kei Vine or Part of the Hive, can lay completely dormant or even burrow under the ground. As with trees. It is a great climber, their vines can naturally pull them, or form traps to capture prey with their many vine tendrils. Dense cartilage, add to that the Kei vine, and although the Lurkers don't usually have an exoskeleton they take a bit of shooting to kill, mostly because the vines try to fill the gaps as other vines are shot away. Vines don't regrow on the spot, but the Kei vine does regrow. Accelerated to be closer to an Arrgar Vine in speed. Maybe ten hours to grow a new vine, twenty if there is no rush. This takes food, so the time does depend on hunting and food supply. The Lurker is able to operate 100% without any aid or contact with the hive whatsoever. Although it can often be found hunting near Hives themselves, the vine's in the environment being a natural cover! Moves at blinding speed in bursts, its many vines shooting out to catch or throw its targets. Often preferring to come up from underneath or above them. Compells Forcegrowth, known sometimes as Darkgrowth or the Anti Hive reaction which can occur in the force. Not a great bastion of light or friendly nudge, think of it like nature's jaws biting back with ferocity. Forcegrowth isn't good for The Hive, Wildgrowth, or anyone else much. It is the natural answer in the force to any imbalance being created by the Hive Mind or rather wildgrowth. What forcegrowth is, has yet to be seen or experienced. As Wildgrowth, a secondary reaction. It is often in conflict with the Hive. Sometimes Wildgrowth Lurkers have been taken by the hive, other times they are operating independently and other times they are in an open conflict. It depends on the greater Surge Domain tendencies, the environment and whatever other factors are in play. Lack of food, other hostility or environmental pressures in the biosphere etc. Rapid firing weapons are best against this creature. Explosives will work as will regular blasters, but they are not going to be as effective as something which fires rapidly like a blaster carbine for example. Weapons such as sniper rifles that can penetrate more than one vine at once will also be useful. Not particularly lethal compared to many predatory species, though being thrown around is certainly dangerous. It is however very disruptive and can cause a real mess of organized formations. 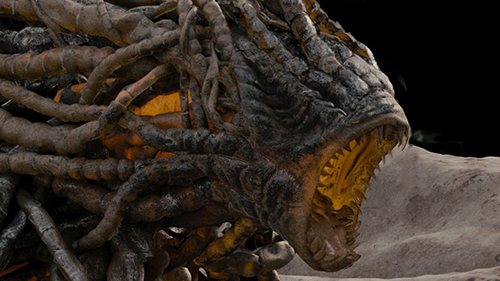 It does have teeth, and the crushing strength of the vines can overpower if not dealt with. Sonic weapons. Sonic weapons do really well against this creature's vines for some reason, a vine can often be slowed as it tries to move, or be stunned in place entirely. It is likely this comes from the vines origins, which would often be attached to Hive Convergence Nodes, carrying nutrients to them as they sent sonic signals of their own out. Acts as a weakness to the surprise factor of the Hive's overall seasonal cycles, in that it can give people warning a Surge is coming their way. Diet: Carnivore. Preferring dog or ewok-sized animals. Communication: Vine manipulation. Hissing. Sight. Religion/Beliefs: Wildgrowth! Mutate. Expand. Hunt. General behavior: Wildgrowth is best described as unpredictable. The creatures hunts, breeds and nests high up usually. It can form small groups to move about in but the social order to these is very chaotic. Quite often they may kill each other, other times they will work as a unified force, only to rip each other to pieces in their sleep. There is no way to predict how two of them will act in a given moment. Which is the essence of Wildgrowth. Generally hostile however is the best way to describe it, sometimes compelled outward by surge impulses on the fringes of them, as the main hive expands it knows to look for new territory elsewhere. A precursor or warning ahead of time for anything living there. If you were to read its mind, you would see a raw form of chaos. Wildgrowth. Destined to happen. The first creature purely formed from wildgrowth, which is a secondary hive reaction from chemicals and other mutations the hive releases into the environment. These mutations allow it to expand and learn at a faster rate, although they contradict Hive Purity or Pure Swarm Will, which is the counterbalance to the mutations. The hive uses all these reactions, mutations and experience to adapt itself and design Purer Swarm Will by experience. A more elegant refinement, based on these initially erratic mutations. The first noted encounter of this creature was on Byss by Kaida Taldir and Khia Varad, which is really where the first wildgrowth had properly occurred. Though rumored other mutations had existed previously. Heavily open to mutation, this creature is a mess in all respects. The Hive often hunts them itself, preferring to eradicate the vermin that plague it. Though rarely they will be captured and used as hunters to protect hives or sent out ahead of surges, often merely compelled to move in an expanding circle outward before the main bulk of the surge arrives. Further adaptation of the Nautolan genecode perfected this creature slightly more, from the outbreak on the corebound stations. 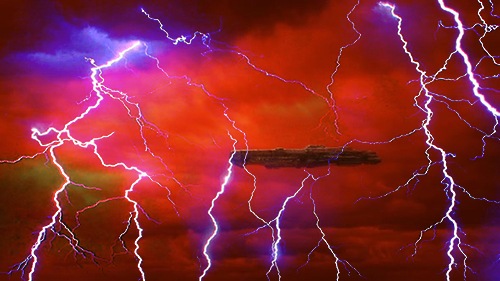 How the DNA was released into the atmosphere so readily for mutation is a story best left to the archives of bitter Sith Lords and their scheming. Though it is far out of their control, they still like to meddle in shaping the hive's development. Futile as their efforts are at present, perhaps one day one Hive Member worthy of guiding Gene Purity will arise Tera Lynx. An as yet unexplored concept. Forcegrowth or Darkgrowth for the dramatic. Is that which the hive has no connection with whatsoever, not even as a secondary mutation or reaction. This concept is alien to the Hive. The Hive is the known, the Wildgrowth is pushing the unknown, Forcegrowth is Dark and unknowable. The force reactions playing out ahead of the Hive, always one step ahead of mutation, and perfection to chase. The appearance of this creature means Forcegrowth is possible, not guaranteed, but possible in an area. If it were to encounter it, chances are the forcegrowth or force reaction would cleanse the wildvermin. This creature does not have an easy life. One final note. It is an excellent precursor or warning ahead of time for anything living in an area, that a surge might be coming, because this creature has been pushed outward ahead of time. It knows when the hive is about to surge, and although not part of it, will move by instinct when this is about to happen. Intent: Melee Talon or Blade for Hive Species. Easy Fit. Can be either wielded, grown or grafted on a hive species. Styled after Vong Tech, this weapon is extremely sharp, hardy, and dangerous to most opponents in melee. Like Vong Fighting Claws, it cuts through most energy shields. These are retractable blades in talon form, very long claw weapons, though there is often some pain given the size of it when first extending the claw. Alternatively, it can be kept out as a sharp extra limb or wielded like a sword. Natural Regrowth. If the parasite inside the sword, limb or talon remains alive, it can regrow if fed nutrients. To regrow a full sword size this usually takes five days, but lesser damage takes less time, a surface hit might just take a day. The nutrients required can be fed directly from a host creature, or fed externally through a small organism, hive structure or plant. In the case of the supporting D13 mineral, if the internal support is entirely cut, that will need a replacement to bring the sword back to full strength. Melee Only. There is absolutely no range beyond sword distance to this weapon. Often times it can't even be thrown as it'll be attached. Average resistance to Lightsabers. Less than regular vong fighting claws. They will go through it but it will take several hits. Like chipping away at rock with a mallet. Wildgrowth. The weapon is linked to the Hive via secondary infection, which means it's at the mercy of the creature carrying or using it, not the hive mind itself. In the case of a sword, for example, the creature wielding it will almost certainly be the one deciding when it strikes. Depending on their level of consciousness as to how much control they assert. Wildgrowth by its nature is a secondary infection and can cause issues of mutation for the Hive in offshoot species, meaning this sword could end up mutating in a way that doesn't benefit the creature, though this is rare as the parasite might well just be removed or drone creature killed. In a symbiotic Talon state, the parasite shares traits of the host creature, and the creature it is fixed on is a good guide as to what will kill it. It is possible the parasite creature will be killed with enough damage, rendering any talon or claw stuck in a fixed position, still sharp but forever fixed there until it is replaced with another weapon. In sword form this won't matter as much, because it'll still be a sword just a dead one. While most Hive Species can grow their own weapons for melee combat, sometimes they will be growing or carrying the Swarm Fighting Claw. Whether carried or grown, it's about the size of a sword, and a deep orange or red shade, but can come often come in blacks, yellows, browns, and greys. Some Swarm members with greater intelligence also prefer to wield these weapons like a sword, or have them grafted on other creatures, allowing for adaptation to any challenge the Hive, Swarm or Surge might face in the moment. A known fact to those who remember is that the One Sith were experimenting with Vong technology in their final days, and much of this technology was being used by Raien Keth for his weapons and creations. Continued by his apprentice Darth Centax after his untimely death. 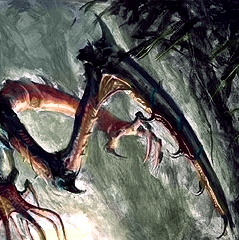 The Fighting Claw parasite was one such creature that was taken by the swarm as their own, and while not all species are implanted with it, some are, especially melee soldiers or predators. Whether sword or talon, it will have a sensory connection to its host. While this confers no special abilities beyond say a regular hand or foot, it does give opponents options to telepathically attack a creature through its own weapon. The D13 mineral internally gives it a bit more fixed structure to it, also providing a weakness in that it cannot regrow organically, and so if the D13 internal structure is broken, it has to be grafted back on in a Hive Maturation chamber or implanted by a suitable hive creature. 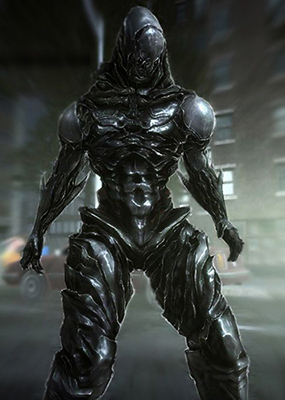 Often part of various Terminus armors such as Terminus Armor or Terminus Barab Armor depending on how the virus mutates, the talon is also grafted on to various hive organisms, especially certain soldiers, predators or firstspawns. The parasite is quite small and doesn't require a lot of food unless it suffers damage to the blade, in which case it will need more food than usual from the host or an external source. The Lurker is able to operate 100% without any aid or contact with the hive whatsoever. Although it can often be found hunting near Hives themselves, the vine's in the environment a natural cover! General behavior: Wildgrowth is best described as unpredictable. The creatures hunts, breeds and nests high up usually. It can form small groups to move about in but the social order to these is very chaotic. Quite often they may kill each other, other times they will work as a unified force, only to rip each other to pieces in their sleep. There is no way to predict how two of them will act in a given moment. Which is the essence of Wildgrowth. Generally hostile however is the best way to describe it, sometimes compelled outward by surge impulses on the fringes of them, as the main hive expands it knows to look for new territory elsewhere. A precursor or warning ahead of time for anything living there. Intent: Third Tier Terminus for Predators or Above. Infection Armor, Variable Shape, Size and Color. Affiliation: SwarmSurge | Closed-Market | Terminus and TerminusFlux or other Infection agents at Stage 5 or Stage 6, with time in a Hive Maturation chamber. Modularity: Highly. It is up to the individual or creature how it shapes. - Acidic and Biological: The outer shell is hardened to biological warfare. The Hive is biological warfare, it fought long and hard to be top of the food chain. Biological agents have a much more limited effect. - Heat/Plasma: High Resistance. The armor really enjoys the heat, the hotter the better. Blaster resistance is included in this upgraded variation, the temperature regulating nature of the flux additions dispersing the sudden heat and energy discharged from blasters more effectively. - Kinetic Damage: High Resistance to Kinetic. It doesn't have the same as a regular Terminus melee focused armor, it still offers good coverage, cushioning and tensile strength. - Bio Restoration. Slow Regrowth of Damaged Parts. Damage regrows over a day if it's superficial to the armor, the TerminusFlux bacteria can also help with slow healing of any wounds beyond it, carried around the armor internally by Kae Vines. For larger damage to the exoskeleton it might take a week to repair. - Can grow to shape any creature or individual, adaptable to extra weapons, talons, claws, tails, wings or other additions designed by the Hive Mind's focus and the TerminusFlux integration. These additions don't grow on the spot, they take months, and in the case of this armor, any additions at all require a Hive Maturation chamber. - Very heavy weight. Only species with a lot of muscle mass for their size are going to be moving in this well. - Limited Production. Predators, Firstspawn or Intelligent Convergence Only. Making up only a small part of any surge. - Tensor or Tractor: Low Resistance. Like most biological armors, tensor and tractor damage them more easily. 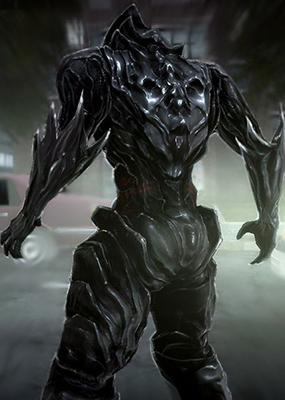 - The armor is the result of biological infection, meaning if you are wearing it, chances are you are part of the hive mind, swarm's will or surge impulse and under its influence. - For this Flux based armor to be functional, the updated armor requires 15 days in a Hive Maturation chamber on top of the 15 for infection. - The armor doesn't come off naturally. It's a natural exoskeleton grown around a creature or individual. - You stand out in this armor. On its own, with no extra biotech, you are not going to be hard to spot in a crowd. - Often but not always, there are several spots to grab hold of on this armor and throw your opponent about. - There is a lot of pain associated with growing an exoskeleton if you are not used to it. Coming in a variety of colors and shapes depending on the organism. The Terminus Barab armor is usually a second stage infection armor, given to Hive members via Hive Maturation chambers after integrating more malleable TerminusFlux DNA. It can be grown on ships but given the extra difficulty in incorporating this, only a limited number of specific ships will function with it. Predators and firstspawn are rare in a given surge on ground or space, the same goes for the types of ships this would grow on. Too hard to cultivate to be given to regular soldiers let alone drones. It takes liberal time and application to integrate onto a host. D13 is used at key points on the armor to reinforce it. Cushioned internally by Microbial mats for added comfort and protection from impact damage. The armor's shell is naturally hardened to biological warfare, and unlike the earlier terminus armors, is not near as vulnerable to cold. Not having any great strength at stopping cold damage, instead, it is insulated via the Microbal Mats from the TerminusFlux Bacteria, making this armor more suited to keeping its user warm. Inside, the armor often comes laced with Kae Vines, adding to its ability to regrow superficial armor damage and protect any exposed areas. Kae vines pass nutrients around the armor more easily, like blood to a circulatory system or wound. These vines cut down the time it takes to regrow superficial damage from two days to one, but do nothing to alter how long larger fractures or more sizeable missing pieces take to reform. After the Surge at Barab the Hive was able to redesign itself to function better in difficult environments, though it hasn't yet found a way to mitigate radiation further. The addition of the Barabel DNA allowed for this transition in the Hive, given that they are a cold-blooded species, the armor doesn't try to resist external conditions as much, and instead adapts to them, as a cold-blooded reptile would. This cost it some kinetic resistance but gained it more adaptation to cold. The Hive Mind is a focal point and directive for the greater collective. It is able to focus on an area and direct consciousness there, like you focusing on this screen. It takes root early in a biospheres development, driving development there through experimentation. The Greater Swarm Will eventually comes into effect when a biosphere has been built up significantly and enough unconscious hive creatures are there. They share their experiences as a collective, with varying degrees of intelligence. Their thoughts are the swarm's thoughts. Secondary Growth from the Hive. Mutations for example that were not originally intended. Sometimes destroyed, often consumed, and other times left to seed the SwarmSurge further. This can be both rapid but also slow growth. Nodes Linking the Collective from point to point around the galaxy. A nervous system or neural net. They operate on both sonic and telepathic impulse. Player characters can also be nodes, also known as intelligent convergences. Unconcious Creation. This concept is being explored now. Helping define the collective consciousness through unconscious creation, memory, history and experience. A purification of life through struggle and adaption. Surges happen when the pressure on an area or biosphere grow. Like a pipe bursting. When it has been integrated into the environment fully or its food supply runs out. The hive prefers to maintain a biosphere to sustain it in most cases. So when this happens, the hive surges elsewhere to find new ground. These tend to be seasonal by nature, going through cycles. Office jobs mostly. Paperwork. Crossing the I's and dotting the T's. I mean I tried working in a shop, front of house, but I couldn't get on with it. Everyone was on a real downer all the time. The public you know what I mean? Why do you know anyone who is hiring? Steady pay? Good hours? Maybe an armaggedon once a week. Company bonding time. Its all about the people you know, at least that's what they say. Given the unstable DNA some species have, the Hive has focused effort in perfecting this process. Often coming in the form of overgrown plantlife or rogue fungus for example. Using Terminus Flux is its latest attempt at refining the reaction to integrate it fully into the Hive-Swarm-Surge consciousness. Wildgrowth usually occurs from secondary mutations in unstable DNA of all kinds, not just the Flux infection agent. This is from chemical reactions to things such as the Centax Purifier, or other Hive based after effects on the environment it exists in. Mutations the hive doesn't control but are expanding the Hive, and so hasn't consumed, yet. Mutations the hive consumes to benefit from directly, often with secondary reactions. Mutations the hive destroys as a threat. 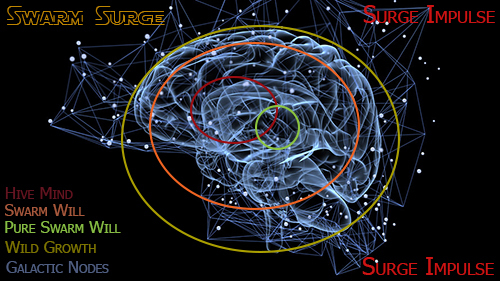 As is discussed in other records there is a focused hive mind, with a larger unconscious swarm's will surrounding it, that sometimes feels the surge's impulse to expand when the season of that particular hive reaches a peak. Usually when integration to an ecosystem is achieved, or it runs out of biological material in a particular area. Aside from these concepts is the concept of purity. What is purity to a collective conscious? Well one concept that has arisen in the collective conscious, is a purity of the Swarm's Will, and how that might manifest physically over a greater collective. Intent: Infecting Bacteria. Stage One, Class 1 Mutation, of the SwarmSurge | Membranes for Cushioning, Structures or Ships. Origins: The Hive Mind, also known as the Swarm's Will when speaking collectively. Description: Bacteria. Technically called a Bacteriophage being a carrier itself. Dividing every hour. Roughly 10 times bigger than a Terminus Microbe under the microscope it is still blue as with the terminus microbe, however, it has shades of purple and importantly carries other hive viruses, as bacteria are known to sometimes do. These viruses both alter the bacteria as they often do, helping it to adapt or mutate but also are carried by the bacteria to other hosts. Making it a dangerous Virus carrier as well as very unstable and likely to mutate quickly. Breathes: N/A Vacuum is fine. Distinctions: The Swarm works in stages. Infection is the first, the agents the Hive Mind uses for this task are always being developed or mutating, but it prefers small. This Bacteria originates in hive fungi and other secondary hive organisms such as those surrounding the Centax Purifying liquids. There is an element of wildgrowth here that the hive had not experienced. The concept of wildgrowth is a struggle within the greater consciousness of the hive, whereby mutations occur that have not yet been integrated into the greater consciousness. 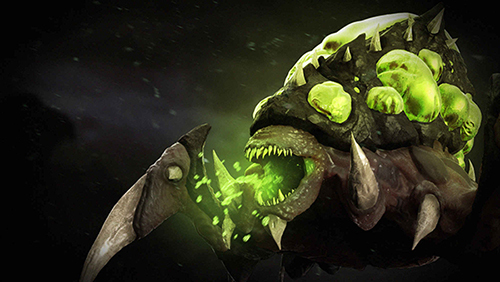 Sometimes the Hive will consume these mutations, causing secondary effects, other times the hive will exterminate them as threats and very occasionally they exist outside of the Hive Mind's node connection, in pure Swarm Will. In the case of TerminusFlux, the mutation has been consumed but is still unstable wildgrowth DNA. 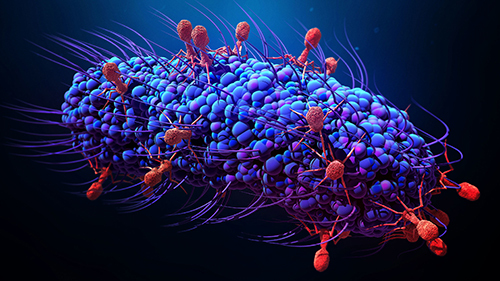 Bacteria infect differently to smaller microbes such as viruses. They do not require a host or cell to live, able to exist and grow on their own. Stage one is done for them. With no need to integrate into a host such as a virus might. In stage one they simply infect the bloodstream and split into more bacteria, at this stage no outward signs of infection are likely. Immediately however the immune system will fight the bacteria, and any viruses it is carrying. The infection is more visible under a microscope. The bacteria have no special properties in this stage. They are dividing rapidly, however, faster than a regular Terminus Microbe. The rate of this really depends on the host, its immune system, and how many bacteria the host has consumed or picked up. The time indicated here a likely average. It is also likely at this stage still the host has no idea what's going on, but it is easier to spot a TerminusFlux infection than a Terminus infection for medical personnel. Due to its level of mutation, it is also likely harder to stop one. The immune system will be in full swing here, and fighting hard. Coughing, Sneezing, the patient is contagious. The bacteria is less subtle than a regular Terminus microbe. It is however also more resilient to antibacterials and cures. Building up resistances as they come, through mutation. A brute force approach is taken by the infection. Usually, a battle occurs here within the patient and often any doctor. Sadly for the patient, it represents as a minor cold still, whatever that would be for the species. For example, it would come as a sore throat, tickling cough or running nose in a human. Here the bacteria is beginning to replace the Hosts own bacteria with copies of itself, early stages though, the host body begins to adapt to the new bacteria and slowly over time new cells are produced. Viruses carried on the bacteriophage assist with this, but it is mostly down to the bacteria causing the host's own body to adapt to it. The immune system tends to be slowly overwhelmed here, with it being a primary target. The Bacteria at this stage likely have a good hold on the host's body. There may have been some internal adaptation, but nothing serious. Again brute force is the approach of the infection but more important mutation. Mutation and unstable wildgrowth DNA happens, quite likely causing small visible signs, certainly internally if not externally. Rashes for example, or soreness inside a host creature. This is in part reflecting the wildgrowth and the Hive's own struggles with each other to find a balance within the Swarm's collective will. Any flu symptoms are very serious here. The bacteria has a good hold on the body and has replaced a good portion of the hosts own bacteria with copies of its own. The immune system may well be assisting the infection at this stage, a tipping point from swarm to surge. It's very difficult not to notice a stage five infection. Outward signs are very very likely all over the body, exoskeleton growth for example. Inward signs as the bodies cells adapt to the bacteria, changing how they operate and thus becoming the Terminus organism. Any carried viruses still assist with this. It is likely the immune system has been overrun. The patient will likely be extremely ill and needs immediate medical assistance. Get them into quarantine fast! The bacteria are so numerous and very well established, they come back almost as fast as they are destroyed. This is a Surge bacteria at this stage, seemingly unending amounts of new bacteria to fill what you remove. However, the patient can be saved, don't give up on them! 15 Days (Directive 15) - Usually Not Contagious. Stage Six does not officially exist. At this point, there is little left of what they were before the infection, they are part of the Swarm's will, the Surge's impulse, and the Hive's focus. With perhaps wildgrowth tendencies. To a greater or lesser degree intelligence or autonomy can remain, depending on what the Hive was wanting to do with the specific individual, species or creature. At stage six there is much more peace within the body, and so the host isn't near as contagious as it was. Most host species end up not contagious at all when fully integrated, depending on the species, it is usually down to specific host species to carry infection to a new environment. +Fast Mutators. These Bacteriophages mutate significantly faster than the Terminus Microbe or virus. Which means treating them requires different methods and technology. Just throwing antibacterials at them, can cause strains of them to build up immunity. +Virus Carrier. As with other bacteriophages. Hive Viruses can assist with the Bacteriophages evolution, it also carries them. +The bacteria spread on their own. Not just from Plants or Creatures. Because they don't need a host creature, they are much harder to remove from a biosphere, from circulating around a population or for that matter hitching a ride aboard a ship, or in a vacuum. Fire is advised. Lots of fire. +Very Resistant to Cold or extreme temperatures. Vacuum for example. They linger and do well in chilled environments, extending their lifespan by 50%. +Is used to grow various Terminus Armors around organisms. Taking 15 days or more depending on the size. Sometimes the bacteria are also used for cushioning and protecting more fragile creatures or constructions. -Bacteria are bigger. While still needing equipment to see, TerminusFlux is ten times larger than the Terminus Microbe and easier to spot by medical staff. -Not Airborne. Though they can be coughed, sneezed or otherwise sent a short distance. They must spread across a surface. Ocean worlds, for example, are much less affected. Birds are great carriers of the TerminusFlux! Insects as expected as well, but birds even more so. -Takes 15 Days to Establish itself fully. Its methods are more brute force than the Terminus Microbe. -Vulnerable to a good cleaner! At least until it's in the body. -Vulnerable to a Doctor who knows what they are doing. -Short lifespan. 12 Hours. Being a living organism, they live and die quickly, sometimes mutating as they do. Diet: Other Bacteria. Picture drops in an ocean, some of those drops are eating other drops, but they are still few in number overall. Communication: None but contact with Cell(s) around it. Religion/Beliefs: Wildgrowth. The Swarm's Will, The Surge's Impulse and The Hive's Mind. As doctors around the galaxy begin to look for cures to the terminus microbe. The first signs appearing, and pairs of eyes beginning working out what is going on. Things are changing. While most are still oblivious to the infection spreading day by day or have yet to experience it. The Hive has noted some attempts from the forward thinkers emerging and has responded. Technically its noticed parts of itself missing, disconnection. So has begun what might be a very long battle of biological warfare, plague vs medicine, doctor vs drone, to see who comes out on top. Enter what certain interested parties are calling the TerminusFlux Bacteria. This bacteria spreads from Fungus, for example, those located around Centax Purifying liquid, or other secondary plant infections. Usually, plants are the most common carriers, fungus even more so, but occasionally creatures are bio-engineered for carrying TerminusFlux. Wildgrowth, so far, has been limited to plants, so far. While the Bacteria feeds off other bacteria, the scale and number of regular everyday bacteria in any area is beyond imagining. A normal human in one hour will put thirty-seven million regular bacteria into the room around them, a million or more of these might be TerminusFlux. So the number of bacteria is still relatively small, even in heavily infested areas. The ecosystem doesn't die off but does take a small hit till things stabilize. Wildgrowth. A peculiar concept that the hive is struggling with internally. The Swarm's greater Will seems ready to accept it, but the Hive's Mind does not. Whether growth that seeds the Hive's reach outside of its immediate control is acceptable or not, is a matter that is being experimented upon now. Byss was a mess at this point. That was often true, lots of stuff went on here that the galaxy would rather forget. Prone to more darkside nexuses than perhaps anywhere in the galaxy.However today it was more a mess than usual. With an infected fleet in orbit of Kissarm, a gas giant in the system. Blood burned hosts that hadn't taken to infection, as with most hosts the hive came across. One Sith captains gibbering half-formed words, vague muttering thoughts and general psychotic episodes over communications. Their red and orange painted ships were covered in badly formed Hive Material. Early attempts at the Hive conquering the dead metal it had come across, there was also some terminus armor trying to grow, but it was just making a mess of the ships rather than helping. Ugly. Having returned from first order space unmolested and unchallenged. The Surge Fleet known as the OS First Maw was also somewhere in system, but they were little more than large space whales and energy leeches at this point, driven on to feed far from the planets in the asteroid belts beyond. They would roam the galaxy in deep space mostly. To even see one gathering on the fringes of a system was a rarer sight, and could be dismissed as a large swarm of the mythical space whales, that spacers and their friends would tell tales of seeing in bars. Very tall tales usually, a friend of a friend’s co-worker running into one. Byss was a strange place though. Today was no different. 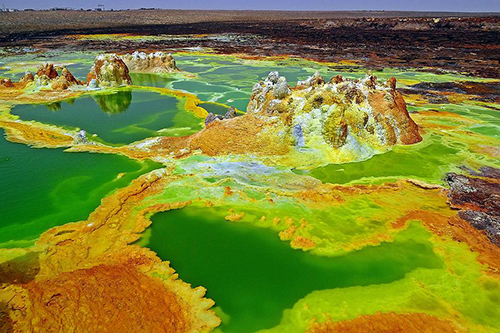 Acidic lakes were beneath the midnight blue dark skies. Pale green liquids, releasing orange gas into the air, with strange fungal growths around them. Byss was no holiday spot as it was, so who knew what they were. The minor lakes or large pools seemed to be flowing out of the top of a facility, it had a large crack in it, and steam or vapor was rising into a small cloud. There was obvious activity below, a crashed ship or two in the side, long left buried and forgotten about. Beneath those dark blue skies, avoiding the small lakes of acid were shifting, moving figures. Red armored Mandalorians running very fast into a cave opening, chased by what looked to be several small bug creatures. A grenade was thrown and they disappeared inside the dry structure, several bugs flying into the air. One of many tunnels on the surface it seemed, with all kinds of strange goings-on, strange signals, whale-song? Sonic disturbance if anyone was tuning in, but that was harder to work out what the hell that meant if it was picked up at all. This was a BIG HIVE. The Air was dry, the temperature was unnaturally hot. Occasionally there would be a rumble beneath the ground. Drones through to Giants called this place home. Dead Sith Lords in the background no doubt laughing in their tombs at the misfortune of travelers who came this way or came to see what had happened to a friend, as was the case with Khia Varad and her small group. Origins: The Hive Mind, also known as the Swarm Mind when speaking collectively. Description: One meter in Diameter Rolling Balls, or Skittering Spider Creatures. Green acidic sacks across their entire black and green, or orange and red body. They move fast, faster than almost any Hive creature and often ahead of the Surge, or just within the front ranks of drones. Sometimes heard to make a shrieking Hieeeeya sound before soon exploding in a glorious shower of purifying liquid and gas. They have sharp jaws and sharp claws, but rarely are these used against threats. Skin color: Lime Green, Dark Green and Sometimes as with nearly all Hive Creatures in Red or Orange shades. Distinctions: Ewok combined with the Tyrant DNA. This causes a volatile mix of spider and a surging maniac. Designed for only one thing. Obliterating a threat usually at the front of the main Hive Surge. The Surge Ewokkazi are especially volatile little blighters, rolling like a blur toward their victims before showering them in Centax Purifier to eradicate the threats. They are not harmful to the Hive, a bio-engineered weapon that is quite devastating if they are allowed to reach a target. Thankfully it's not that hard to stop when you see it coming if you are paying attention and checking your corners, watching your back. They do not breed naturally, thank the force, bred only in Hive Breeding chambers. Very Fast Rolling. Fast Jumping or Moving on four legs over ceilings, walls and open space. Deadly when they explode in a biological acidic shower and gas cloud. The Centax Purifier released eats through any Non-Hive metal and living tissue. Highly resistant to acid and biological warfare, of all the Hive species this is one of the most resistant. Highly adaptive to environments, pathogens, cures, unstable and dangerous DNA that will evolve into other species. Higheeeee Ya! Volatile when struck. Their acid sacks especially so. Not tough. Continuous Blasterfire, AOE weapons, or just Accurate Shooters. Hit it a few times with anything and it's going to splatter. Even a badly trained drunk stormtrooper can take this one. If not part of the Hive Mind. This creature is as unpredictable as they come. Prone to making small nests in trees and hitching a ride aboard unsuspecting ships or speeders. It will go anywhere. The more spider-like Ewokkemi variation especially likes spinning annoying lime green webs around the Hive or other structures. The mutations this species goes through make it unreliable. The DNA is by its nature in a state of flux. Diet: Omnivore preferring smaller animals but can live off hive fed nutrients alone. Allergic to Ewoks, and will detonate early upon coming into contact with one. Communication: Acid Signs, Body Language, Sight. Hisses, clicks and roars. The Hive's Mind, The Swarm's Will. Religion/Beliefs: The Swarms Will, Exist. The Surge Impulse, Expand. General behavior: Be a general nuisance. Roll toward threats and explode. Nest in webs in the hive. Mutate and adapt to environments. Ewok DNA combined with the Tyrant DNA caused explosions. Quite literally in the case of One Hive which is now an acidic cloud and crater where once there was life. Like all things, the Hive adapted, it changed things and got the balance right. The Swarm Ewokkemi are the first subspecies of this creature, sometimes found spinning webs and nesting in areas of the Hive. Most, however, are Surge Ewokkazi, little more than rolling Kamakazi balls heading straight for their targets to explode in a chemical shower of liquid and gas. Endor proved a useful field trip for the swarm, not the great feasting it had hoped for, the DNA it was chasing even evaded it completely. The lush world of Endor, however, was nice pickings for its scouts and seeders over time, with smaller visits and more subtle approaches. Taking what DNA it could as its own and leaving the rest. The Ewoks provided resilient threats when the Hive visited them, so much so the greater Swarm's Will decided to integrate them into the Hive in larger numbers. Like all DNA it is uncertain what use it will be at first, if at all. Though the Ewok DNA was first thought of as a mistake. The Hive was able to integrate it into the Tyrants DNA, finding some good matches and a specific use. About the time the Centax Purifier was finally stabilized and under the Swarm's will, this species seemed to be the perfect method of delivering the result. Face first. Known to many as Ewokamite. I also want to echo that codex is loved by a lot of writers, and am very glad people take the time to look subs over. Hey if you guys ever need any help with species specifically, let me know. Be happy to help out. I'll be getting enough practice and I think the least I can do is offer to carry some of the weight.